Encompassing the junction between Interstate 405 and State Route 522, and sitting just below that of I-405 and I-5, Bothell has come a long way from its humble beginnings as a logging community. It is home to the University of Washington's secondary campus, which is not only the state's fastest growing four-year university, but consistently ranks as the number one school in the state in terms of quality and value. 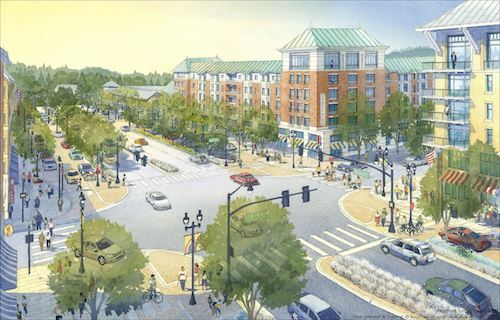 In 2006 Bothell kicked off an extensive revitalization plan to transform its historic downtown. Aimed at creating a destination and gathering place for area residents, employees, and visitors, the City has sold nearly a million square feet of land for development, and completed public investments of over $150 million. 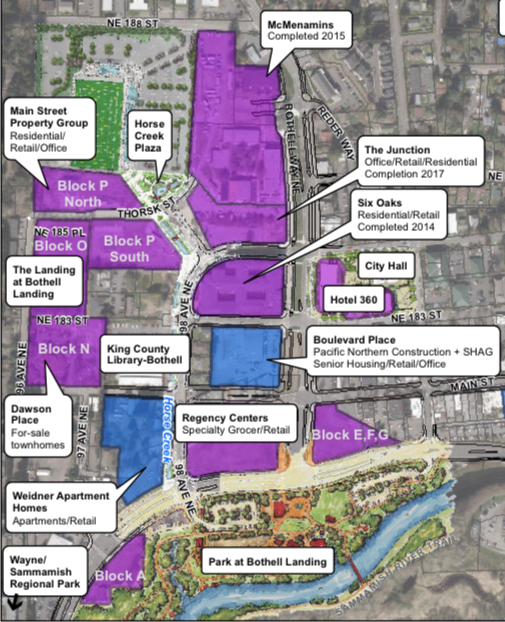 Bothell's master plan to transform its downtown is the largest revitalization effort currently underway in the state of Washington. In addition to the $150 million dollars committed by the City itself, $200 million in private investment has been secured to date out of a total $650 million the plan is projected to leverage. The complete development will cover 529 acres, create 8,000 temporary jobs during construction and leave 1,300 permanent new jobs once finished. Move Highway 522 one block south and disconnecting it from Main Street, helping traffic move faster through downtown. Extend Highway 527 and broaden it into a pedestrian-friendly boulevard. Expand Main Street with new buildings that have ground-floor stores with office space or residences above. Build a 50,000-square-foot City Hall. Create and encourage various private development projects, bringing new multi-family, retail, and office properties to the area, such as the McMenamin's hotel and entertainment complex, with multiple restaurants, a luxury dine-in movie theater, and salt-water pool. The Sound Transit 3 expansion will establish Bus Rapid Transit service to Bothell in multiple directions. BRT provides fast, reliable bus service every 10 minutes in peak hours. The new BRT stations and transport corridors will provide a direct line from Bothell to Shoreline (and its future Light Rail station) in the west, Lynnwood in the north, and as far south as Burien.